At a Board of Trustees meeting Friday, Roslyn Brock, the chair of the volunteer engagement task force, said the group split into the five subcommittees to figure out how to improve interactions between alumni and GW. The chairman of the Board of Trustees says the University faces institutional challenges trying to boost alumni engagement and fundraising. Last fall, a Board task force on alumni engagement split into five subcommittees to better examine how GW can improve its interaction with former students to grow their involvement with the University and encourage donations, officials said. Board Chairman Nelson Carbonell said the task force is expected to keep meeting beyond this academic year because members will likely need additional time to examine these issues in-depth. “It’s likely that there’s more work to do to really think about how we restructure, how we engage volunteers, how we engage with alums,” he said. The task force was established by the Board of Trustees last summer after the conclusion of the $1 billion fundraising campaign – GW’s largest fundraising effort to date. The five subcommittees of the group include best practices for engagement, faculty and volunteerism, “from students to alumni volunteers,” data and volunteerism and “reimagining the volunteer experience.” The task force overall was charged with figuring out how the University can better incorporate alumni in the day-to-day running of the University with an eye toward future fundraising efforts. Carbonell said some of the University’s peer schools have alumni giving rates that double or even triple GW’s, which has stayed around 9 percent. Volunteering is another aspect of alumni interaction with the University, which he said the task force will focus on. “The task force isn’t called the alumni giving money task force, it’s the volunteer engagement task force because you as a student will be looking for a job when you graduate so is there a network of alums that’s going to help you?” Carbonell said. He added that improving the student experience – another major University priority – will aid the alumni effort as well because students who are satisfied with their time on campus are more likely to stay engaged after graduation. 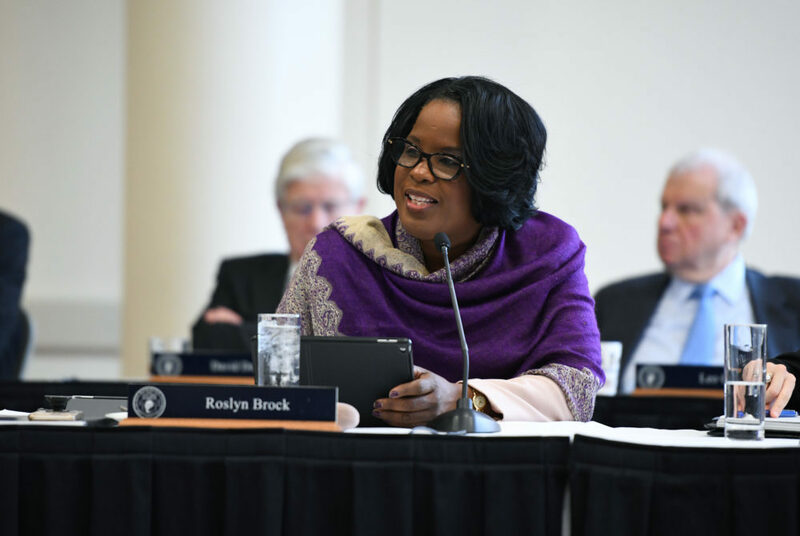 At a Board of Trustees meeting Friday, Roslyn Brock, the chair of the volunteer engagement task force, said the group split into the five subcommittees in October to figure out how to improve interactions between alumni and GW. She said the task force would soon distribute a 10-question faculty survey about how alumni volunteers are incorporated in their work through research. Brock said the committee spoke to representatives from New York and Emory universities about the best ways to engage alumni and improve data and volunteerism, concluding that GW needs better databases to track donors. 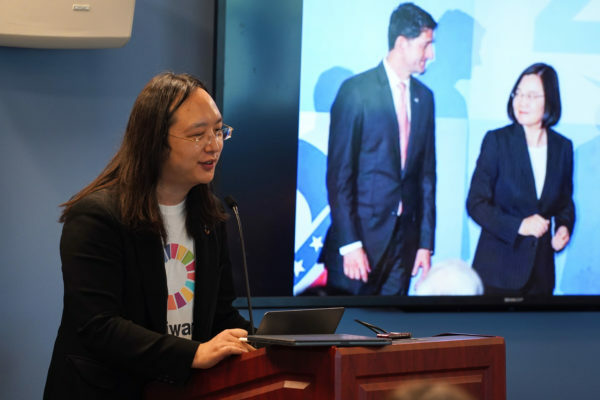 “The greatest accomplishment that we can make is to allocate appropriate resources to upgrade the software and enhance the team that supports database analytics,” she said at the meeting. Brock said another subgroup determined that there was opportunity for many graduates to connect with affinity groups – smaller alumni groups associated with a specific interest or background. Matt Manfra, the interim vice president for development and alumni relations, said his office has been providing support for the task force. He said the group also met with Donna Arbide, who will assume Manfra’s role next month, at last week’s Board meeting. He said the subcommittees will allow the task force to focus on “specific topics” connected to alumni interactions with the University. 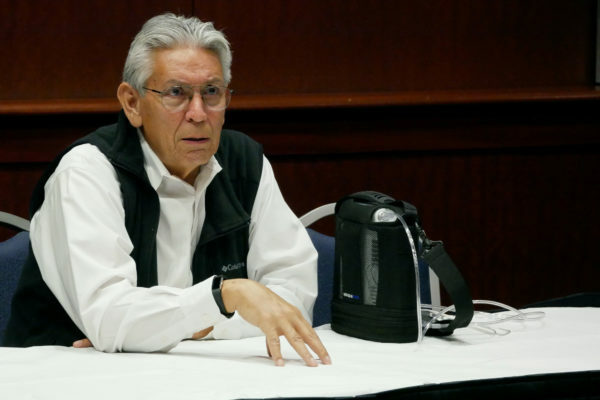 “The subgroups and the overall task force continue to meet regularly to discuss the multifaceted topic of volunteer engagement,” Manfra said in an email. Venessa Marie Perry, the president of the Alumni Association, said the task force realized that there were issues with topics like the student experience that the group needed to focus on by working in subgroups. Perry, who is a member of the “from students to alumni volunteers” subcommittee, said part of her subgroup’s goal is to make sure that student have positive interactions with alumni. “One of the ways that we engage is by ensuring that they have a meaningful experience, they connect with alumni whether its providing grants with them or providing scholarships with them or supporting their events on campus, financially or attending them,” she said.